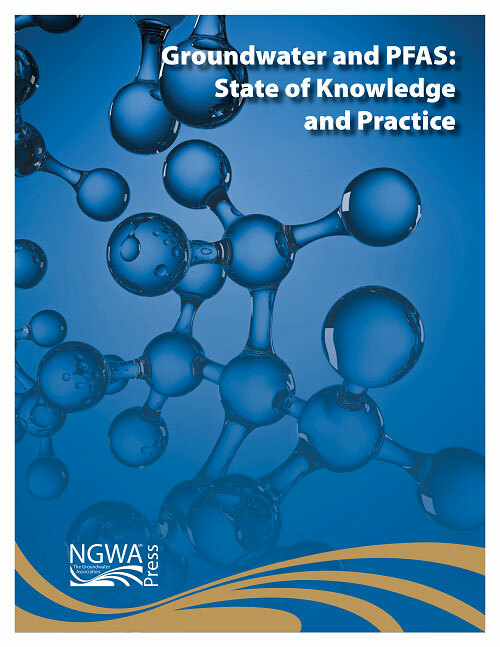 NGWA recently published Groundwater and PFAS: State of Knowledge and Practice, a guidance document on per- and polyfluoroalkyl substances (PFAS). The Association published the PFAS guidance document to assist members and other groundwater professionals who may be tasked with investigating the transport pathways and extent of PFAS in groundwater and surface water, assessing potential risks to receptors, or designing and constructing engineering controls to manage subsurface PFAS contamination. The main purpose of the document is to summarize the current state of knowledge and practice regarding PFAS fate, transport, remediation, and treatment—recognizing knowledge in this field is advancing. It also aims to summarize current technologies, methods, and field procedures being used to characterize sites and test remediation and treatment technologies. The text is focused on characterization and treatment of PFAS in groundwater and soil. However, other media may need to be considered when conducting due diligence and all appropriate inquiries at potentially impacted properties. Section 2 provides a glossary of key PFAS-related terminology. Section 3 summarizes the chemistry and known human health and ecological impacts of PFAS. Section 4 discusses PFAS fate and transport in the environment. Section 5 discusses PFAS-specific field sampling technologies, methods, and procedures. Section 6 discusses the legal and regulatory status of PFAS in the United States. Section 7 discusses PFAS risk communication challenges and solutions. Section 8 discusses PFAS remediation and treatment options. NGWA members may log in and download a complimentary version of this document. The cost is $53 for nonmembers. A print version is also available for purchase in the online bookstore with NGWA members receiving a discount.